ok when looking through protocolls .. i'm noticing that many errors and banns were executed the past days ... any feedback about!? Were we hacked ...? what's going on here? 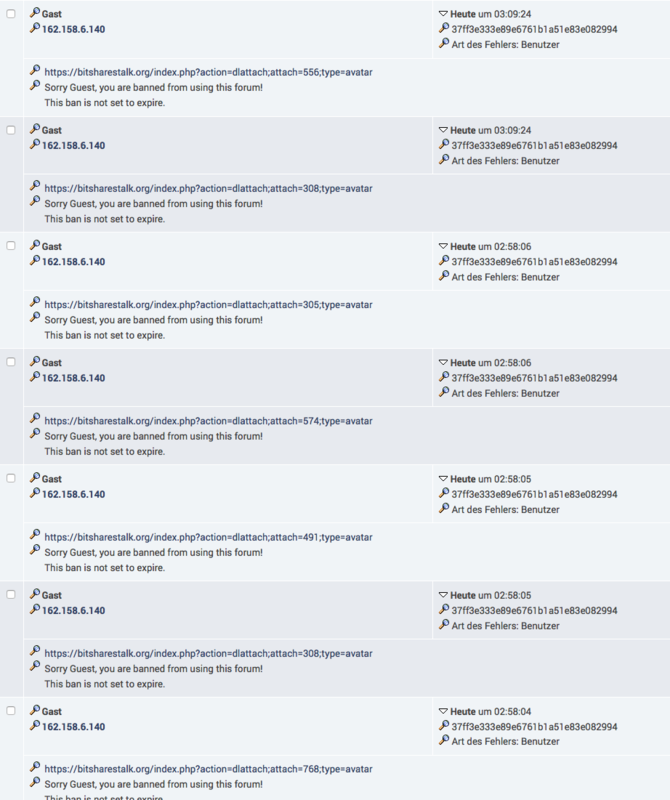 more then 100 banns since yesterday, or i'm getting something wrong here? Pls take a look asap [member=18978]bitsapphire[/member] & [member=165]itnom[/member] ! also many Password incorrect - 38PTS…/ etc .... issues .. argh .. i begin to think we were hacked .. any feedback on this would great ..
That's certainly a joke! I hope it's not true! If it is, please correct ASAP and apologize ! looks like mostly chinese accounts are banned. for whatever reason though - trust no one from now on and expect people to pgp sign. yeah .. it's an issues -- i'm mostly sure on this .. after removed bann it still seems rune isn't able to login .. will have to take a closer look again! If any other user face same problems how we can get him noticing us? any ideas…?